I just discovered these Doctor Who miniatures. The zygons could make for pretty good marro, too. They do come unpainted though. Sadly, they are going to be 10mm too tall. The Monsters might still work, at least some of them. That is rather heartbreaking though. Are there any Claustrophobia custom HS creations? I've got these figures and agree they're perfect for customs, but I don't know of any pre-existing customs for them. 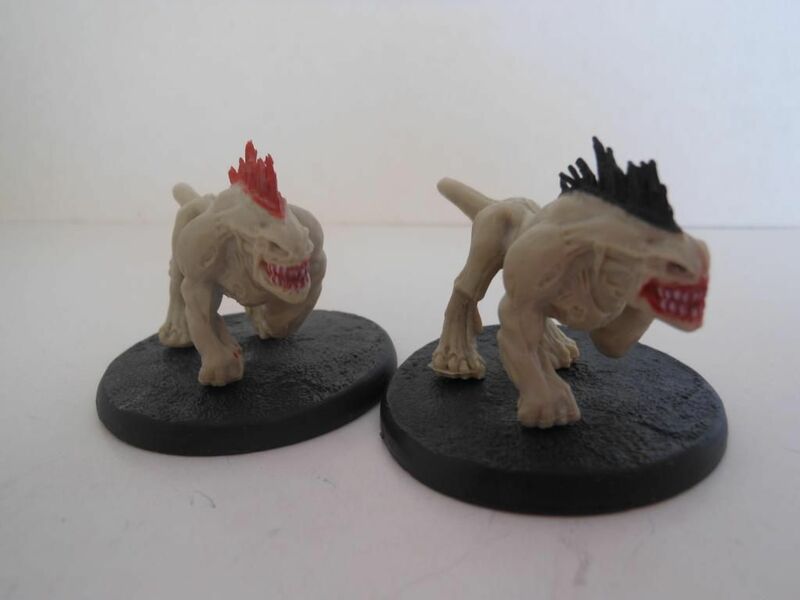 I've long wanted to use the little guys for a 5pt custom; my concept was a common hero that you could either attach to a "master" (like Highland Fury or Loyalty to the Lizard King) or use 3 or 4 together as a pseudo-squad (like wyrmlings or thralls). But I've never fleshed out (or playtested) the concept fully. That sounds super cool Xotli! Always wanted to see a 5 point figure. I take it they are pre-painted? How much are they? Your custom concept sounds perfect, Xolti. There's the Redeemer who would be a perfect cleric hero. The two Condemned Brutes and Blade for Hires who could be paired up together or with their counterparts for unique two-man squads like the Zettians. 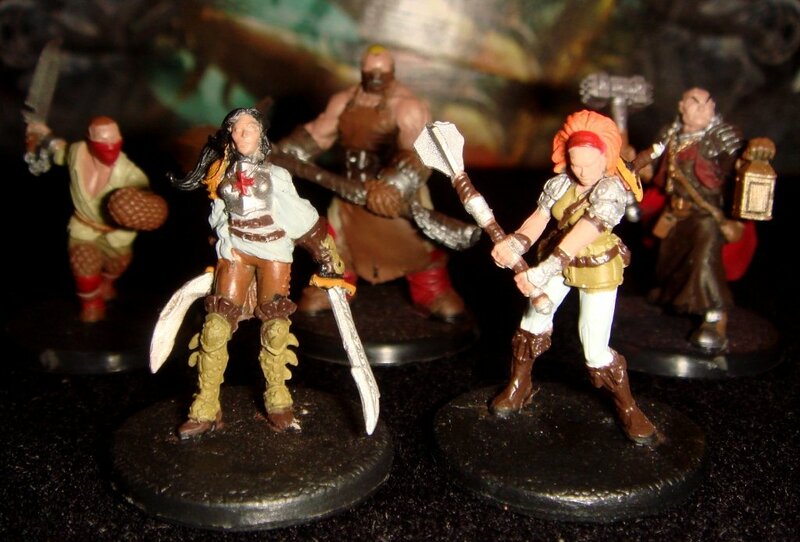 The female warriors, Sicaria for a two-women squad or as heroines on their own. and of course the excellent Kartikeya who could be a unique hero/champion who bonds with the Orcs. Tornado, do you know of pre-existing customs that could fill these roles/compliment the figures? At the beginning of the game, you may choose a Unique Hero to be the Master. Once per round, after revealing an Order Marker on the Master's card, before taking the Master's turn, place one Dogsbody Imp you control on any space adjacent to the Master in order to take a turn with that Imp. Dogsbody Imps can move through all figures and are never attacked when leaving an engagement. If the Dogsbody Imps have no Master, after revealing an Order Marker on a Dogsbody Imp, you may take a turn with up to three Dogsbody Imps you control. Instead of moving normally, choose an empty space up to 4 clear sight spaces away from this Dogsbody Imp, and no more than 4 spaces up or down from the level of its current space. Place the Dogsbody Imp on the chosen space. Probably needs some tweaking, and a lot of testing to make sure my theoryscaping isn't off, but something along those lines. I take it they are pre-painted? I bought mine on sale a few years back. I'm pretty sure the full retail wasn't reasonable for just the figures, but, now that it's an older game, you should be able to pick it up for a decent price. Oooh, sounds cool! Now I just need to wait until it has been around long enough to go on sale. Fun. I dig that. Thanks for sharing. The Imp Circus cracks me up and the idea of the trogs porting about with Teleport is nifty. Very cool Thanks for sharing your concept. Last edited by Hex_Enduction_Hour; February 10th, 2019 at 03:32 PM.